See and feel 32 fossils. Two debossed sides show fossil illustrations. 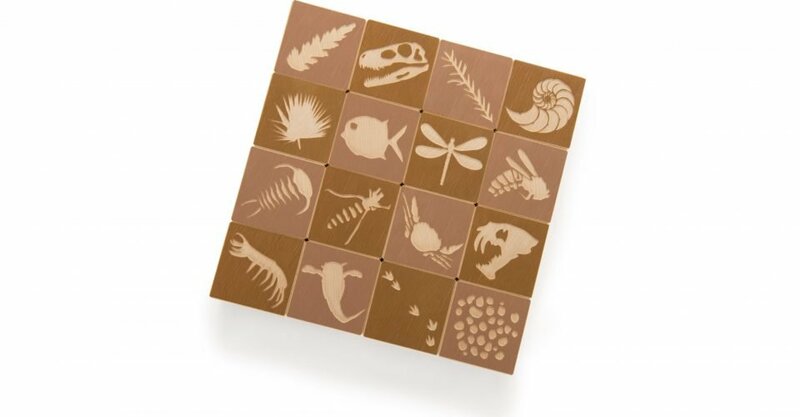 Four printed sides feature the fossil place, time period, era, and rock layer.